Are you a Goodreads member? I’m offering a Goodreads giveaway. 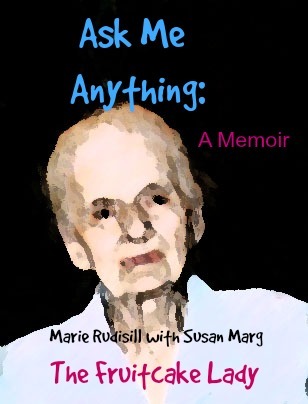 Ten lucky readers will receive a copy of Ask Me Anything: A Memoir. You need to enter the drawing by September 21, 2014. Ask Me Anything is available on Amazon and as an ebook. It’s Summertime. Read a Book. Looking for a good book to read? Sometimes one’s hard to find. Nothing in the reviews in the New York Times and the New Yorker jumps out at you. Scouring your local newspaper, if you still take a local newspaper, hasn’t yielded just the right result. And you don’t trust the reviews in People magazine. So check out what “the people” have to say. In its own words, “Goodreads is a free website for book lovers. Imagine it as a large library that you can wander through and see everyone’s bookshelves, their reviews, and their ratings.” With eighteen million members it must be doing something right. And all those members have posted twenty-four million reviews and counting. Books are organized by category, such as art, biography, comedy, history, and mystery. Simply skim the recommendations that are tailored to your interests. Alternatively, peruse ”Recent Updates From the Community” on the home page. There should be something that appeals to you. Did you miss the Hunger Games craze? Well, a reader gives the first book in the series by Suzanne Collins five stars, but no synopsis. There’s always Amazon to find out what it’s all about. Do you like the classics? One reader recommends the Pulitzer Prize-winning novel To Kill a Mockingbird. I recommend seeing the movie starring Gregory Peck. Want to be frightened into action? Books by both Stephen King and Dean Kootz are mentioned. The Shining was described as “the scariest book ever.” But who hasn’t seen the movie? Does it sound like I’m mocking the efforts of these critics? I’m not. Really. On a recent search I was reminded that I have been intending to read Abraham Verghese’s 2009 novel Cutting the Stone. It’s about conjoined twins separated at birth who follow in their father’s path to become doctors. I added it to my “want to read” list. And I’ve devoured many of Barbara Kingsolver’s books, but I missed The Poisonwood Bible. It, too, now resides on my list. Someone somewhere has written just the book for which you’re looking, and someone on Goodreads has written a review about it. P.S. I also joined the program as a Goodreads author to promote my book Hollywood or Bust. Type in my name. Sign up for the free giveaway (winners are picked randomly at the end of July). Write a review, if that’s your thing. Thank you.